Angel, Johnston & Blasingame P.C. Why Angel, Johnston & Blasingame, P.C.? Angel, Johnston & Blasingame, P.C., combines a large firm's experience and expertise with the hands-on personal service of a small firm. Our focus is on reducing the overall tax burden individuals and business owners face. Our firm is one of the largest accounting firms in southwest Oklahoma. We combine our expertise, experience, and energy of our staff to provide close, personal, and professional attention. Angel, Johnston & Blasingame, P.C., offers services at all stages of the business life cycle. Whether you are looking to purchase a business, optimize your tax structure, improve productivity, reduce expense, or sell your business, we can help you achieve your goals. Feel free to contact us with any questions you may have regarding your business. We guide our clients through a full range of tax planning and preparation decisions with strategies that minimize your tax liabilities, maximize your cash flow and keep you on track to your financial goals. Our expertise, experience, analysis and thorough research allow us to optimize financial opportunities to be found in existing as well as recently altered tax laws. From start-ups to established enterprises, businesses rely on accurate and insightful financial information in order to maintain profitability and capitalize on new opportunities. Our accounting services steer you closer to these goals with accurate record-keeping and reporting. Municipalities need to meet ever changing requirements of financial reporting and compliance. Our municipal audit staff is dedicated to providing year round municipal auditing services. We perform auditing and reporting services in accordance with generally accepted auditing standards, the Governmental Auditing Standards, and the Single Audit Act standards. Effective estate and trust planning can ensure financial security for loved ones. For businesses, it can maintain a smooth succession of ownership. Angel, Johnston & Blasingame, P.C. 's role is to help you navigate the complex and shifting tax laws to facilitate the transfer of assets and minimize the tax liability of your beneficiaries. Everyone should have a well-thought-out plan as to how to distribute the assets left in one's estate so as to avoid complications and to be sure that the individual’s wishes are followed. Having your taxes and estate thoroughly and carefully planned will ensure that your loved ones don't have any complications to deal with during a time of loss. We provide the services schools need to meet the ever changing requirements of financial reporting and compliance. We perform auditing and reporting services in accordance with Oklahoma State Department of Education, the U.S. Government "Yellow Book", and Single Audit Act standards for organizations receiving government funding. Our focus is on building close client relationships that add long-term value. This includes assuring the solidity of financial records, evaluating financial procedures and working to produce strategies that help our clients face the myriad challenges of business planning and execution. Accurate record-keeping is essential to a successful business yet can also be complicated, tedious, and time consuming for many business owners. 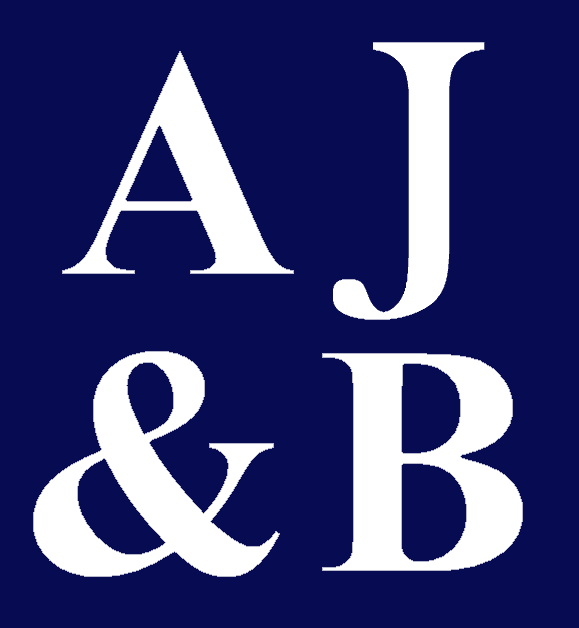 Angel, Johnston & Blasingame, P.C. 's bookkeeping staff can help you with the organization and day-to-day tasks of bookkeeping so that you can focus on your core business. Your business entity has a large impact on your taxes and other liabilities. From your company's inception through its growth and development, Angel, Johnston & Blasingame, P.C. can advise you on choosing an entity type and later restructuring if advantageous. With our knowledge and expertise, you will always be receiving the most advantageous entity type for the functions your business performs. At Angel, Johnston & Blasingame, P.C., we have developed a simple solution to help Oklahoma school districts address many of the unique problems they face today. Our procedures allow districts to continue using their current bank, accounting software and auditor, and we are able to provide these various services at a reasonable cost. Angel, Johnston & Blasingame, P.C. 's financial statement services comprise all three levels of assurance depending on your company's needs. Feel free to contact us today to figure out what level of assurance is appropriate for your particular situation. Payroll is an essential component of any business. Angel, Johnston & Blasingame, P.C. 's payroll services can help you reduce the time spent on administration through developing and implementing a computerized payroll system that will facilitate processing, timely payment and preparation of tax returns. Use the form below to contact us regarding your accounting inquiry. Please be as detailed as possible. Include your industry along with any specific document requests. To help us best service your inquiry, we recommend that you first describe the issue you’re having before telling us what you want to achieve. You may also email or call us to make an appointment.